Our marching and concert bands have been providing quality performances for decades. Students that are in the Concert Band are required to be a part of the Marching Buccaneers. If you have any questions regarding our ensembles, contact Mr. Rutherford. It is the goal of the Gulf School Music Program to create an environment through music and the arts that will foster, challenge, motivate, develop and demand our students to become responsible and mature young adults. This program is dedicated to achieving excellence in our musical and educational endeavors. We believe band combines the best of music, art, leadership, dedication, and maturity while still having fun. To see what we have coming up, please take a look at our Calendar page. 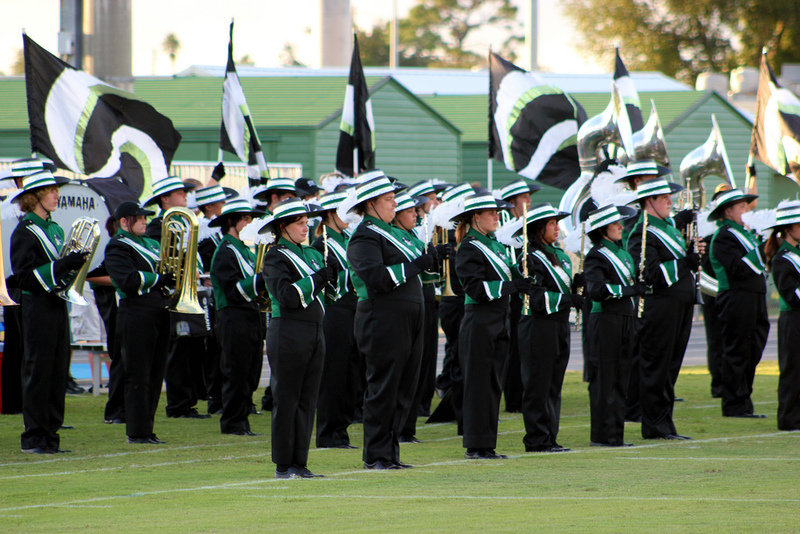 Since it’s humble beginnings in the 1940’s, the GHS Marching Buccaneer Band has been one of the most successful components of the band program at Gulf High School. Our focus for our marching ensemble is to provide quality entertainment during halftime performances at our varsity football games. With each year’s show concept, our students put in many hours of hard work beginning in the hot summer sun of Florida in late July during our annual Band Camp. The GHS Marching Buccaneers strive to make halftime shows fun and entertaining to the Friday night football crowds. Our main goal is our annual Marching Performance Assessment that closes out our marching season in November. This assessment features high school bands from our Florida Bandmasters Association’s District 5, which is comprised of Pasco, Hernando, and Citrus Counties. Since Mr. Rutherford began his career at Gulf High in 1994, his marching bands have consistently performed well at our Marching MPA by receiving the top rating of ‘Superior’ for 16 out of the 25 years he has been Director. Our marching band can also be seen in area parades as we have been featured in the Chasco Fiesta Parade, the New Port Richey Christmas Parade, the Zephyrhills Founders Day Parade, the Pasco County Fair Parade, and the Festival of States Parade in St. Petersburg, Florida. The Marching Buccaneers have also been featured in the Apple Blossom Festival Parade in Winchester, Virginia. 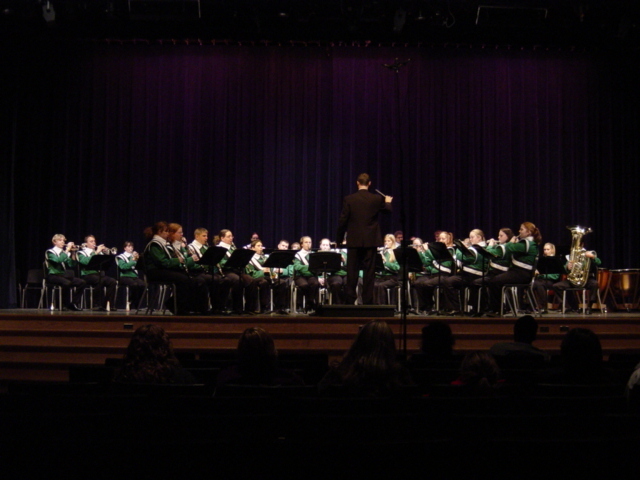 The GHS Concert Band has performed many concert pieces over its long history and educates it’s students in the traditional concert band style. We have performed music from composer such as Percy Grainger, Gustav Holst, Frank Ticheli, Daniel Bukevich, J.S. Bach, Alfred Reed, Francis McBeth, and Malcolm Arnold. Our concert band performs annually at the Florida Bandmasters Association’s District 5 Concert Music Performance Assessment and has received both ‘Excellent’ and ‘Superior’ ratings. The Concert Band also travels to Atlanta, Georgia and Washington, D.C. every other year on an educational trip both musically and historically. In Washington, D.C., the band has participated in the Dixie Classic Music Festival and also tours many of the historic sites in the nation’s capitol. The highlight of this trip is our participation in the wreath laying ceremony at the Tomb of the Unknown Soldiers at Arlington Cemetery. In Atlanta, the band has participated in the Music in the Parks Music Festival and visits landmarks such as the World of Coke, the Georgia Aquarium, and Stone Mountain Park. The students also perform for many community events and support many veteran’s groups in the immediate area. All of our Concert Band members are also members of our marching band.